Diamond-polished concrete is one of the leading options for enhancing beauty, lowering maintenance and energy costs. All this while retaining the natural beauty and slip-resistance of concrete. 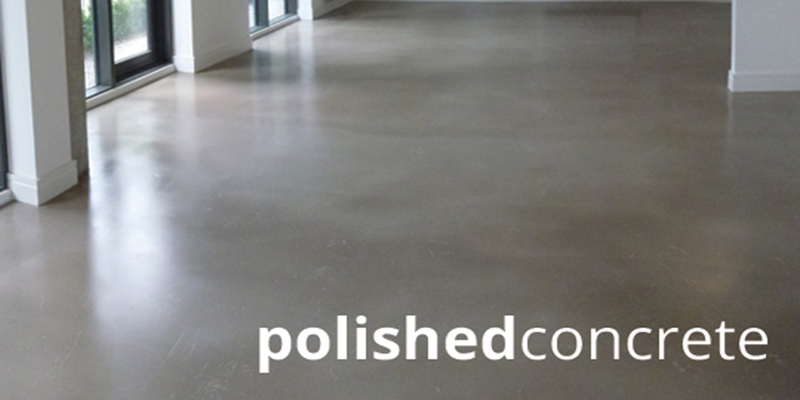 Polished concrete can be found in every kind of building. It is used in shopping centers, manufacturing facilities, clean-room laboratories and medical centers which require dust-free environments. Designer colors and precise saw cuts can be added to polished concrete to meet the most demanding aesthetic requirements. And, with a little bit of low-cost care, you can expect your diamond-polished concrete floors to deliver decades of service. 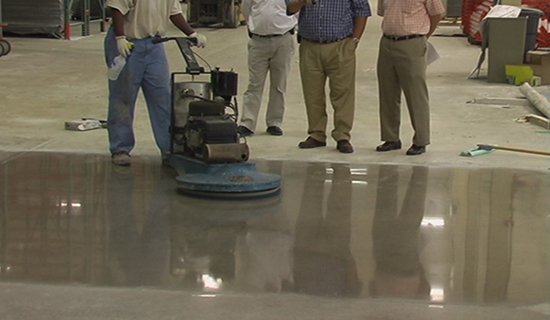 Polished concrete is a proven leader in Green Building and LEED Certification. • Diamond Polished Concrete Floors Are Cleaner. • Diamond Polished Concrete Floors Require Less Maintenance. • Diamond Polished Concrete Floors Are Strong & Dense. • Diamond Polished Concrete Floors Are Naturally Slip Resistant. The ownership of Beyond Concrete has an extensive background in the construction industry. They have created the environment at our company that quality is number “1” and with quality, excellence follows. This is demonstrated daily by constantly visiting job sights and physically reviewing the quality of work being performed. They believe in the Thomas Pertes “In Search Of Excellence” principle of MBWA (Management By Walking Around). Our project supervisors are given feedback on how they are performing and if any action is necessary to increase performance. Our project supervisors visit regularly with your site management to receive progress reports which help create a team environment. We also have customer support assistants assigned to each supervisor. They act as service liaisons and can be reached any time during the day. We have a quality and safety inspector whose sole purpose is to visit each project and independently evaluate performance and seek feedback from your team. This is reviewed by management and our supervisor teams. Management has a monthly operational meeting where all departments report on their performance followed by an open discussion on how we can continue to improve on our overall company mission. The company has regular safety meetings which are an open forum that permits all employees to discuss/suggest any topic that will enhance both quality and team effort. Everyone at Beyond Concrete takes an active roll in each project. Our Managers, Estimators and other key management personnel are kept up to date on phases of your project. They will be there to answer any questions you may have before, during and after completion of your project. All of our tradesmen are highly skilled and take pride in their workmanship. The process begins by removing any foreign materials, such as adhesives from the floor, repairing cracks, and other mechanical or cosmetic imperfections. The polishing begins with coarse diamonds (16 – 20 grit) gradually moving to very fine diamonds (1,500 – 3,000 grit), Beyond Concrete smooths and polishes away any foreign materials and roughness. As the process continues to the fine diamonds, the level of gloss increases. Beyond Concrete will diamond-polish the floor to your specifications and deliver the level of smoothness and gloss that you prefer. During this process we may use special chemicals to harden and densify the concrete surface. This integrated sealer becomes a permanent part of the concrete, thus eliminating the need for additional sealers, polishes or waxes.